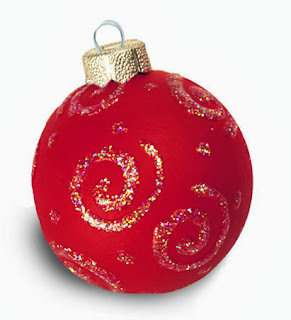 Decorate your holiday tree with ornaments that mimic the color and glitter of the season. Remove cap hanger from ornament. 1. Basecoat ornament Tuscan Red; let dry. 2. Use Glistening Snow Writer to paint spirals and dots on ornament. Let dry. If ornament does not have a wire hanger, it will be necessary to attach one to hang ornament as it dries. Hold ornament at cap area when painting exterior surface. It may help to insert wire hanger for more secure grip.